← Growing up too quickly? 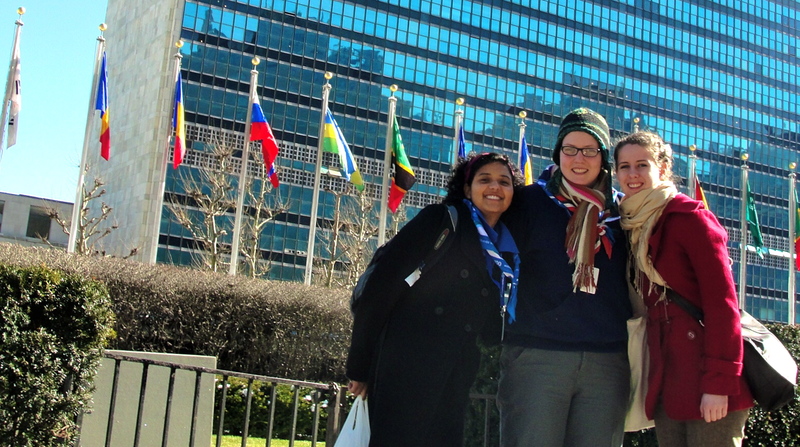 Girl Guides take over the United Nations! 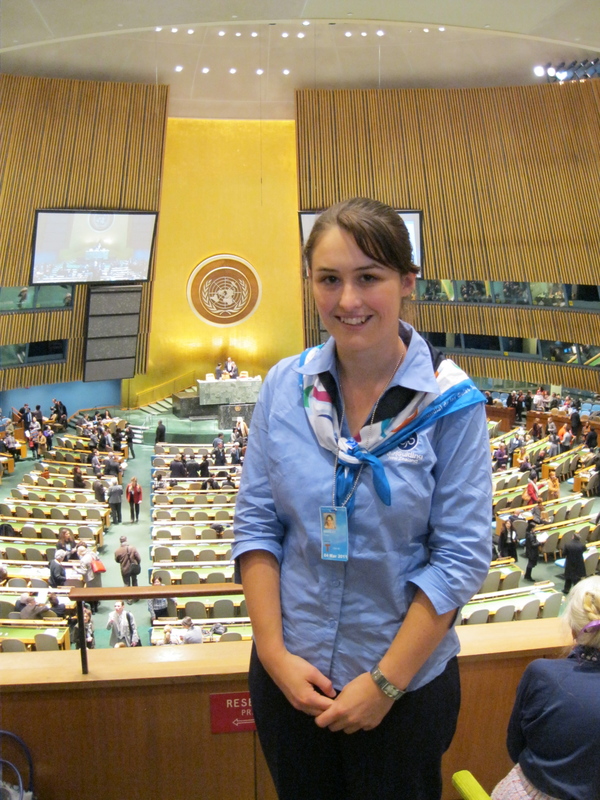 This week, a Canadian Girl Guide Member has been putting gender equality on the global stage! 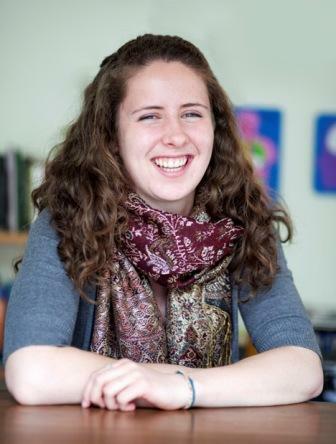 Rachel Singleton-Polster is blogging for us from UN headquarters in New York, where she’s part of the WAGGGS delegation at the Commission on the Status of Women. This week has been a total whirlwind! Today I had an exciting day at the UN where I attended the General Discussion on this year’s priority theme, Access and participation of women and girls to education, training, science and technology, including for the promotion of women’s equal access to full employment and decent work. (I know, it’s a mouthful, but it’s seriously important stuff!) Yesterday a WAGGGS delegate from Denmark made an oral statement on behalf of our worldwide Movement. It is so great to see young women really making an impact on such a global scale! We also filmed a short movie for WAGGGS to celebrate 100 years of Guiding around the world and 100 years of International Women’s Day on March 8. You can look forward to watching this video on the WAGGGS website sometime soon. For more on what has been happening here at the UN with the WAGGGS delegation you can follow our daily blog on the WAGGGS website. We also encourage you to get involved in the WAGGGS Global Advocacy Campaign to end violence against girls and women which is being launched this July. Rachel Singleton-Polster is currently studying Geography and Aboriginal Perspectives at the University of Mount Allison in New Brunswick. Originally from Vancouver Island, Rachel has been in Guiding for over 15 years as a girl Member and Junior Leader. This entry was posted in Global Guiding and tagged Commission on the Status of Women, gender, international travel, UN, WAGGGS. Bookmark the permalink. 3 Responses to Girl Guides take over the United Nations! Hi Rachel, i am amazed. I live in Parksville, Vancouver Island. But my home town is Sackville New Brunswick.. Think that we have abit in common?? I was involved with guiding for 35 years and am so aware of where you are coming from. Keep up the good work, and if you are ever at the Tantramar hotel, say hello to my sister Nancy. I am the current editor of the BC Girl Guides newsletter—Pipeline. I would like to inlcude some of Rachel’s blog in the April 2011 issue of Pipeline which is sent to all Rangers and adult Members of Guiding in BC. Additional background material from Rachel would be appreciated as well. Please contact me if this is possible. Hi Linda, I never knew this was on the Internet for all to see and read until now. Rachel is from my home town, Duncan, and I have known her since she was in Brownies and Guides and have seen her grow up as a very sensible, friendly and dedicated young woman. I’m so proud of Rachel to have come this far. She is indeed a welcome member of Girl Guides of Canada.